In the process of mapping our YTL Group sustainability strategy, it is critical that we take note of the significant and emerging global trends in order that we continue to meet commitments to our numerous stakeholders in a balanced manner. Whilst there are occasional unanticipated inflection points in doing business that temporarily force a change in approach, the nonnegotiable components of our strategy and obligations to building the right thing in a sustainable manner remains unchanged. We remain passionate and committed to our targeted Sustainable Development Goals (SDG 4 – Quality Education, SDG 8 – Decent Work and Economic Growth, SDG 12 – Responsible Consumption and Production, SDG 13 – Climate Action and SDG 14 – Life below Water). However, despite our best intentions and efforts we have not been able to deliver on all of them fully in the past year for a number of reasons, and hence the journey and deployment of human and financial capital continues. The impacts of increased global protectionism, and also instances of extreme weather and tragic casualties specifically during the hot summer of 2018 in the northern hemisphere, fires in the Arctic circle, floods in India and the worst drought in Australia in one hundred years are themes that seem to echo more loudly from one year to the next. We cannot ignore that climate change had a pivotal role in the fall of the Roman Empire and Angkor, and that it could continue to affect developed and developing nations alike in the 21st century. Once again, Earth Overshoot Day moved a little earlier – this marks the day when humanity's resource consumption for the year exceeds Earth's capacity to regenerate those resources in the given year. On reporting and transparency, I am pleased to say that this is our first Global Reporting Initiative (GRI) report. We also now have two YTL Group companies represented in the FTSE4Good Bursa Malaysia Index of just 56 Malaysian companies – the first was YTL Corporation Berhad (YTL Corp) included in 2017 and the second was YTL Power International Berhad (YTLPI) added in June 2018. True global protectionism first reared its retrogressive head when Britain's Corn Laws were enforced between 1815 and 1846 imposing steep import duties, and favouring political power associated with land ownership. The Corn Laws also had negative impacts on other sectors such as manufacturing, and reduced the disposable income of the British public. One hundred years later in this period of populism and growing authoritarianism, the values of free trade and open societies are again under attack. Tariffs tend to discriminate on the basis of where the items are produced and in some cases encourage unhealthy lobbying. This in turn can result in diminishing productivity and lead to worsening economic growth, negatively affecting the very people they are designed to protect. A 21st century William Gladstone may be what is needed to reverse the worrying trend in global politics where meritocracy is taking a backseat to authoritarianism. In 2017 and 2018 we saw in equal measure how divisive politics and populist movements are changing the world. Protectionism and political crises may be reaching a climax now and a tipping point from which the world will either recoil and retract, or succumb and dive headlong into recession. Posturing and threats have become a mainstay of global politicking, and the politics of rage is now pervasive. It is against this turbulent backdrop that we continue to operate and nurture our sustainability strategy as part of our Group's operations. Protectionism has not seriously impacted the irreversible march of sustainability, renewable energy and clean technology in the markets in which we operate, and we continue to have faith in the power of the free market economy to provide necessary checks and balances in the face of emerging trade barriers, and for competition, innovation and technology to continue to bring costs down. The recent passing of my beloved Father and our Chairman and Founder, Tan Sri Dato' Seri (Dr) Yeoh Tiong Lay has allowed us to reinforce and extend our pledge to Quality Education at Group level and through YTL Foundation. Empowering teachers is one of the key pillars of our commitment to education and largely justifies the time and resources that my late father Tan Sri Dato' Seri (Dr) Yeoh Tiong Lay gave to education in Malaysia and around the world. Aristotle said of teachers that "those who educate children well are more to be honoured than they who produce them; for these only gave them life, those the art of living well." Through YTL Foundation, we continue to spearhead our vision of providing access to quality education for all, regardless of social standing, location, gender, race or religion. Equal opportunity for every child is one of the core principles underpinning our efforts to provide communication tools, appropriate learning environments, and networks for teachers, students and parents to share and grow together. We continue to carry out Frog Classroom makeovers for urban and rural schools, and at the time of writing, we have managed to renovate and equip 250 classrooms in and around the Klang Valley, with a target of 1,000 schools or classrooms by 2020. This includes major renovations and implementing Frog VLE (Virtual Learning Environment) with the support of Chromebooks and networks. We also continue to measure and monitor the effectiveness of the makeovers and find that the results justify extending the programme further throughout the country. It was around the turn of the century when Alexander Parkes and Leo Baekeland invented Parkesine and Bakelite respectively. Parkesine was the first thermoplastic, and Bakelite was the first fully synthetic plastic based on a synthetic polymer made from phenol and formaldehyde. Consequently our love affair with this miracle packaging substrate was born, and one which would eventually lead to the poisoning of our ecosystems and eventually ourselves. Branding also started in earnest in the 1800's during the Victorian era, and evolved hand in hand with packaging. Branding and packaging were likely the result of two things; convenience expected by the consumer matched by producers aiming to provide product quality, consistency and unique positioning or branding. It was around one hundred years after the advent of packaging that Jacques Yves-Cousteau said "water and air, the two essential fluids on which all life depends, have become global garbage cans." It is possible that by 2050 there will be more plastic in the oceans than fish by weight if the world continues to dump approximately 20 million tonnes a year of plastic into the oceans. 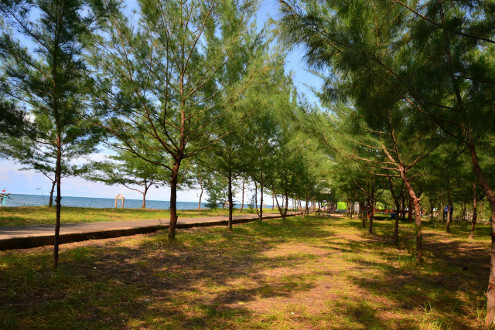 Our generation will have to either live with the guilt of having watched the wanton destruction of various habitats and specifically of the marine ecosystems, or to spend the balance of our days trying to find ways to reverse and restore these very habitats and clean up and arrest the scourge of plastic pollution. A broad range of smart public policies and appropriate recycling infrastructure are needed in addition to aggressive campaigns to reduce consumption. This means radical change in our consumption habits, packaging solutions, regulations and a universal commitment to reducing, reusing, refusing, recycling, etc. The future of waste will likely be determined by systemic change and solutions which will be a key feature in sustainability of the circular economy or closed loop system, rather than a simple bandwagon effect. The creativity of ocean plastics being recycled to make credit cards, clothes, shoes, laptop computer cases, etc. are some of the ways of dealing with the symptoms of plastic pollution. However, it is the causes that need to be urgently dealt with. Asia is probably considered ground zero in this battle on waste. Over 95% of plastic in the world's oceans originates from just ten rivers, and eight of those rivers are in Asia, with the other two, the Niger and the Nile, in Africa. The Yangtze River, leading the table, dumps an estimated 1.5 million tonnes of plastic into the Yellow Sea every year. In our hospitality business we are doing our part in moving towards providing refillable glass bottles using reverse osmosis (RO) water from our own plants, eliminating the use of wooden chopsticks and single-use plastic packaging and consumables. Our hotels and properties have also recently decided to join the global movement to stop offering plastic straws in all properties to take at least one relatively redundant but damaging contaminant out of the supply chain. There are many more initiatives to be rolled out in quick succession, and we aim to eliminate all single-use plastic items by 2025. Eradicating the waste in existence is another approach to removing harmful contaminants from the environment. In our cement division we have extended our use of waste materials as aggregates and alternative fuels even further, whilst ensuring that any impacts on the environment, on local communities and in the workplace are mitigated. From being a leader in the import of waste ground granulated blast furnace slag (GGBS), copper slag, industrial gypsum and the use of local pulverised fly ash (PFA) and silica fume, we are now committed to a fully circular model for using waste in our cement plants to produce slag cement or Portland Pozzolana Cement (PPC), which is a variation of Ordinary Portland Cement (OPC), in addition to OPC. In the use of alternative fuels derived from waste products, clinker kilns provide an ideal controlled environment with high temperatures and sufficient retention time for processing waste and hazardous materials, and breaking them down into their component oxides and subsequent recombination into clinker material. This has allowed us to process additional scheduled waste materials, including spent garnet from tank cleaning and waste oil and sludge in the oil and gas industry, and waste from chemical plants such as sulphur. Similarly, waste bottom ash previously sent to a landfill at our coal-fired power plant in Java, Indonesia is increasingly used inhouse to produce paving blocks as mentioned in my 2017 letter. The quantity varies between 8.5% and 10.5% of the total bottom ash produced, diverting it from the landfill and at the same time producing a sustainable building material. Currently the plant has produced over 1.5 million paving blocks and is extending the programme further. Fly ash from the coal-fired plant is also almost completely used as a concrete aggregate by two local cement companies in Java. 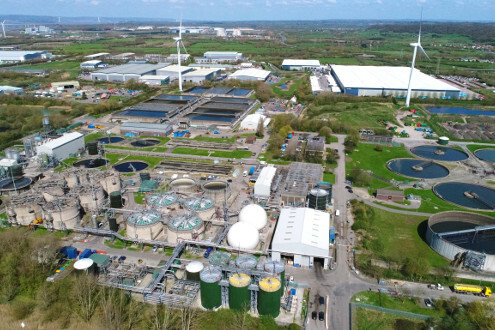 At Wessex Water's subsidiary, GENeco, we have been further developing our flex fuel vehicle fleet powered partly or entirely by biomethane derived from food waste. From the Bio-Bug and Bio-Bus, we have now created the Bio-Bee vehicles which currently operate in and around Bristol, both collecting food waste and running on food waste. 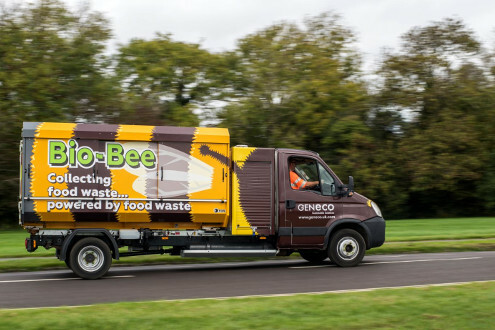 Whilst only a fraction of the 45,000 tonnes of food waste used in the anaerobic digestion facility is currently collected by the Bio-Bees, we are planning to expand the fleet of Bio-Bees further. Ironically, in mid-2018 the European (EU) and UK food, drinks and livestock industries were beleaguered by a shortage of food grade CO2 which is a cheap by-product of ammonia production. Although of a far larger magnitude, global CO2 emissions rose in 2017. It was apparent that despite the surge of solar and wind projects, certain coal projects had a negative impact on the fuel mix in the power sector which has barely changed in 20 years. The use of natural gas grew by around 3% globally and in China a massive surge of 15% in 2017. Global wind and solar capacity installed as of 30 June 2018 just passed the 1TW, or 1 million MW mark, and is forecast to pass the 2TW mark by 2023 at an almost 50% lower cost than the first TW. If we add hydro and other renewables, then we would have passed 2TW already, but the highest growth in capacity of 65 times since 2000 came from wind and solar. As the global use of air-conditioning systems increases, demand for energy to power them could match the current capacity of Japan, the United States (US) and the EU combined. Efficiency in air-conditioning systems could be one of the leading energy saving innovations as the developing "hot" world catches up with the developed world. Whilst almost 90% of homes in the US and Japan already have air-conditioning, the penetration rates in Indonesia and India are 7% and 5% respectively. A similar demand trend is developing in the passenger car market, where the costs per kilometre for an electric vehicle (EV) are roughly half that of gasoline and diesel, and hence driving demand for EVs and further power generation. Horse drawn carts or carriages were replaced by motor vehicles somewhere between 1920 and 1940 depending where in the world you looked. A similar trend is emerging with EVs where the more affordable new Tesla models may be the equivalent of the Ford Model T.
The number of electric and plug-in hybrid cars on the world's roads exceeded three million in 2017, a 54% increase compared with 2016, according to the latest edition of the International Energy Agency's Global Electric Vehicles Outlook. China remained by far the largest electric car market in the world, accounting for half sold last year. Nearly 580,000 electric cars were sold in China in 2017, a 72% increase from the previous year. The US was the second-highest, with about 280,000 cars sold in 2017, up from 160,000 in 2016. Nordic countries remain leaders in market share. Electric cars accounted for 39% of new car sales in Norway, making it the world leader in electric vehicle (EV) market share. In Iceland, new EV sales were 12% of the total while the share reached 6% in Sweden. Germany and Japan also saw strong growth, with sales more than doubling in both countries from their 2016 levels. Advances in rapid charging for EVs are also changing the potential demand for EVs. New technology may allow for rapid DC charging where 15 minutes could provide 500km EV autonomy, and also allows for bidirectional charging where vehicles can source from the grid when the price is low, and opens the door to vehicle-to-grid charging when prices are higher. On the flip side of the emergence of electric vehicles, by 2030 when around 30% of all vehicles sold are EVs, the very initiatives by governments around the world that encourage the use of EVs could lead to a tax shortfall of close to USD100 billion by 2030, according to the International Energy Agency. The impacts will be further exacerbated by 2040 when the proportion of EV sales increases to 55%. It seems that governments will have to find a way to plug this hole using other taxes such as congestion charges and toll roads or electronic road pricing systems. A recent study in China has shown that airborne pollution from vehicle emissions is not only causing serious health issues, but may also be contributing to diminished intelligence in children. Hence the argument for the long tailpipe is even less robust, and reinforces the belief that power generation with controlled conditions and emissions continue to be the logical way to feed increasing global demand for energy. The evidence showing damage to people's health caused by kerosene and wood or charcoal fires is indisputable. Hence, YTL Group continues to expand its portfolio of both off grid and utility scale power generation. For off grid communities in and around Paiton, Java, we continue to build the rural renewable energy programme for villages within 50 km of our power plant, and have increased our microhydro units to 39, biogas units to 580, and solar installations to 65 units. From these installations alone, we manage to avoid around 10,000 tonnes of CO2 per year and reduce the consumption of diesel and kerosene. Avoided medical issues and other benefits for local communities are the real although generally unquantifiable advantages of this programme. 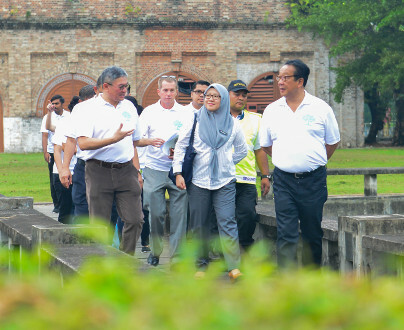 YTL's power subsidiary has been advocating the use of natural gas since the early 1990s when it built the first Combined Cycle Gas Turbines (CCGT) plants in Malaysia, and subsequently converted most of the generating capacity in YTL PowerSeraya from Heavy Fuel Oil to CCGT in Singapore. In our grid or utility scale energy expansion, we believe that well-managed power generation from our portfolio of CCGT, super critical coal plants, biomethane from waste, and other sustainable sources have a role to play in the mix of expanding capacity. 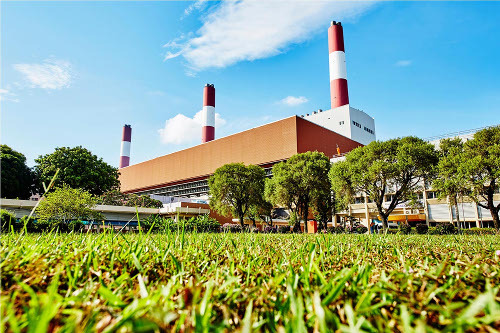 YTL PowerSeraya in Singapore currently has almost 95% of output from CCGT and now rarely uses the Heavy Fuel Oil generation equipment. Including YTL Cement's two Waste Heat Recovery (WHR) plants in China and Malaysia of around 8 MW each, and GENeco's modest biomethane capacity from the UK operations, this will bring our total Group power generation capacity to over 5 GW. Various impacts on the agricultural sector will necessitate even more aggressive intervention. The effect on crops posed by moving into a hothouse state, hardening of soil as a result of chemical fertilisers, higher salinity levels, and the stresses of a demand supply imbalance are all changing the face of the agricultural and livestock industries. The farming industry has been slow to harness the power of digital tools that continue to disrupt other industries, but there are changes afoot. The Food and Agriculture Organisation (FAO), a UN agency, estimates that food production needs to rise by almost 50% by 2050 to meet growing demand. Breeding in agriculture in the 1940s has evolved from an art resulting in a doubling of yields in oil crops, pulses and seeds to a high-tech science, where bioengineering advances will push through the ceiling previously reached. In Wessex Water and GENeco we work with farmers and agricultural organisations to address the impact of fertilisers on soil quality and crop yields, and help find organic alternatives derived from our human and food waste sludge treatment processes. By analysing water catchment areas, runoffs from streams, rivers and farmlands, we are able to improve the use of solutions derived from organic waste. Similarly in Java, Indonesia, the sludge from the biogas units is used as an organic nonchemical fertiliser (BIOTAMOR) for local crops. Regulators, legislators and consumers have equally significant parts to play in driving the sustainability agenda globally. Apart from persistent pressure being brought to bear on the timber and agricultural sectors, in early 2018 even the London Bullion Market Association announced that refiners and miners will have to provide data on a range of environmental benchmarks including usage of energy and water, pollution impacts, greenhouse gases, and also report on health and safety in their operations. Similarly, investors are making a difference in the way companies' measure and report impacts. Total funds with responsible investing strategies hit USD22.9 trillion in 2016, up 25% in two years according to the Global Sustainable Investment Alliance. Financial reporting is a normal part of the healthy functioning of most capital markets, and now it is becoming more widely understood that social and environmental reporting will be too. This is another reason why we have decided to produce this, our first GRI report, in 2018, as part of the first step in providing even more transparency and closer adherence to recognised global reporting standards whilst at the same time protecting the interests of our various stakeholders. The obligation and necessity in building the right thing can reap both spiritual and tangible rewards, and it remains a key cultural pillar of our values in YTL Group. Sustainable conduct is about making responsible, appropriate and informed choices given the constraints and settings we find ourselves faced with. As a Group we are not there to force habits or preach culture, but to nurture Godly values and inculcate responsible behaviour with all of our stakeholders. We hope that we all do our best to mitigate negative impacts on the environment and society in an ethical manner consistent with our values of honesty, hard work, moral responsibility, togetherness and vitality. May God continue to guide us on our journey to Making a Good Future Happen.